Looking for a diverse, inclusive, student body, energetic vibe, great weather, with a wide range of academic options and don’t mind Ubering throughout Miami? Check out Miami. With warm, sunny weather, palm trees everywhere, and both a pool and lake in the middle of campus, you can’t help but wonder how students at the University of Miami get anything done. But on a beautiful Wednesday afternoon in February, the pool was deserted and the library was packed. Surprisingly, students told us that they only make it to the nearby beach one or twice each month. Miami has become more selective over the past few years and accepted 32% of its applicants in 2019. We heard the same story from the many students we spoke with — They have plenty of fun on campus and going into nearby Miami, but studies come first. Students have enjoyed taking the new curriculum. Students in the honors college are not restricted to the Cognates and can have free rein to take what interests them. Introductory classes can be as big as 150 students but most classes have fewer than 25, and our guide said that many of his classes have fewer than 10 students. 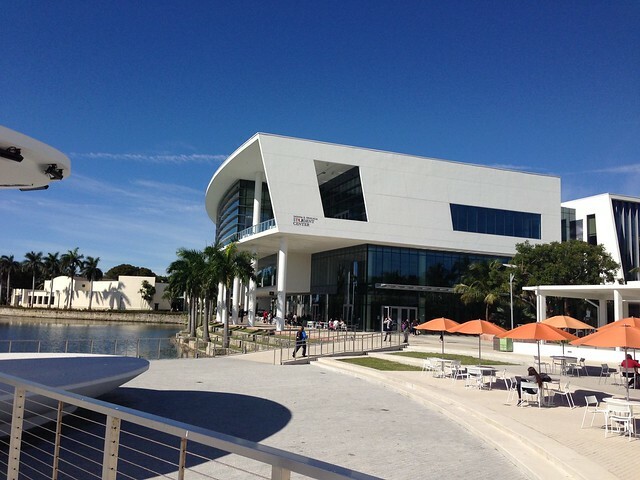 During Donna Shalala’s 15-year tenure as President, the school was focused on improving its research capabilities and reputation and invested heavily in the medical school and biotech programs. The new President also comes from the world of public health and so far, has similar priorities. As a result, students have ample opportunities to engage in research as early as freshman year. Top programs at UM are biological and life sciences, business, marine sciences, communications, music, pre-med, pre-law, and pre-dental. Our guide was a dual political science and public relations major and told us that he hasn’t had any problems finding summer internships in politics and communications. They also have an Health Professions Menotring Program for top students interested in medicine. These students are paired with a doctor and have mentoring throughout their time. If they do well, they may be invited to apply early to the Miller Medical School. We saw nearly every nationality, ethnicity, race and religion well represented. We were struck by how everyone seemed to blend together as opposed to some other campuses where you see groups of similar students keeping to themselves. More than 50 percent of students are from out-of-state, including a good representation from the Northeast. Not surprisingly, South America is also well represented (Cuba, Columbia, Venezuela primarily) and approximately 27% of students are Hispanic/Latino. And much like in the city of Miami, the Hispanic/Latino influence is visible on campus. We did hear from several students that there are conspicuous pockets of wealth at UM and we did see a fair amount of designer clothing and heard stories of upscale partying and travel. UM is a nice size at 10,000 students and the campus is very walkable. It takes 10 minutes at most to get between classes. The architecture is varied with a few modern buildings scattered among more modest post-war buildings. The school is big enough to have impressive class and program choices, student resources, and sports programs, but small enough so that it feels manageable. During our tour, our guide recognized and greeted friends all around campus. The overall vibe on campus is similar to that of Miami — energetic, bustling, fast paced and extremely diverse. The Greek system is popular with 26% of students participating, but Greek life does not dominate the social scene. However, frat parties are not your typical beer pong in the basement event. Fraternities typically rent out clubs in the surrounding area and host lavish events. Campus-wide parties, events and concerts entertain the freshmen and sophomores, while the upperclassmen venture into the various neighborhoods in Miami such as Coral Gables, The Grove, Miracle Mile, Brickell (downtown where the bars are), and Coconut Grove. 90% of freshmen live on campus in one of five co-ed residential colleges. This unique system provides students with instant community when they arrive on campus. Each floor has an RA who is not only charged with decorating the floor and organizing social events, but also with running programming to discuss social issues that impact the student community, like LGBTQ rights, women’s safety and issues related to diversity. On every other floor, there is a “first year fellow” who deals with any academic issues or questions. In addition, each residential college has a senior faculty member who lives in the building and is very involved in the social and academic lives of the students in his/her residence. The faculty member will often host lectures, seminars, dinners and social events. Students say that their residences feel like family and they greatly value the access to senior faculty. There is a massive residential housing village in construction and the three towers are slated to be rebuilt within three years. UM is trying to improve its yield, which is the number of accepted students who enroll. To lure top students, UM invites the top 10% of each freshmen class to join the Honors Program and the top 5-10% of applicants are offered merit money. UM is need blind and currently meets approximately 97% of demonstrated need with the goal to make that 100% by 2025 (their centennial year.) They have shifted more of their financial aid from merit to need based aid as they have increased the % of need met. UM offers four decision plans ED 1 and ED 1, EA, and RD. Students are strongly encouraged to apply Early for the best chance of admissions and by 11/1 for the top merit scholarship consideration. They fill approximately 30% of their class with ED, but anticipate that number rising. They overenrolled the class in 2018, so anticipate being more conservative for the 2019 cycle, especially since applications rose from 34,000 in 2018 to 38,000 in 2019. 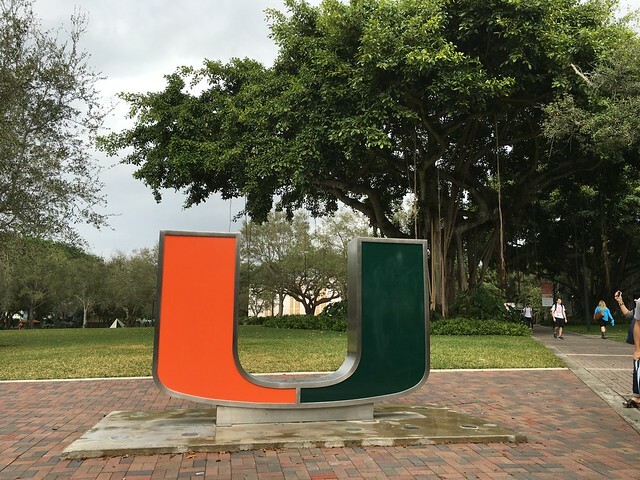 UM is welcoming to transfer students and will no longer consider high school grades or test scores after a student completed 30 college credits. The accept approximately 500 transfer students in the fall and 250 in the spring. While UM is interested in students who show interest in the school, the do not currently track demonstrated interest. The admissions office distinguishes between “demonstrated interest” and “affinity.” They are looking for the latter, which means showing why you are a good fit for the school. This can be done through a visit, contacting the regional rep, or making/having alumni or legacy connections. There were hints that the application review process is being reengineered, moving to a more holistic review of applications. We wouldn’t be surprised if UM adds a supplemental “Why UM?” essay in one of the next few application cycles. It’s not difficult to understand why so many northerners are attracted to UM. Being on campus does feel a bit like being on vacation in Miami. But the students seem serious and express disdain for the school’s former reputation as a “party school.” The University of Miami offers students a complete college experience.